How we helped DIVA to give ordinary people the chance to feel like a diva. 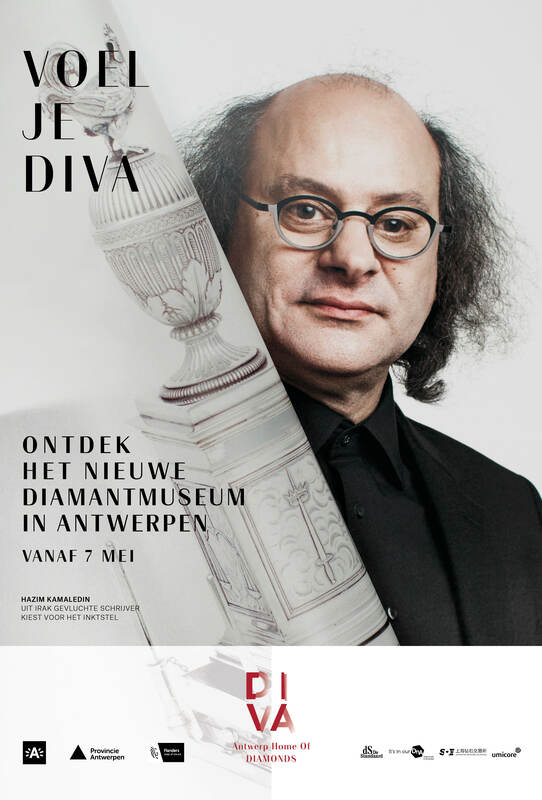 On May 4th, DIVA, the Antwerp diamond and silver museum re-opened its doors. Bonka Circus developed the opening campaign, but chose to do more than just announce the re-opening date. We all know how a beautiful jewel makes us feel: a little bit more like a diva. So, that is what we focussed on. 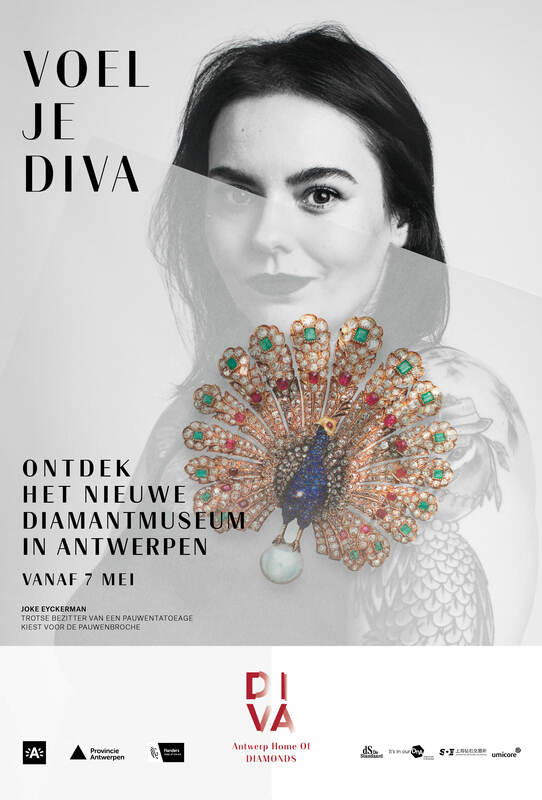 We re-positioned DIVA as the museum where everyone can feel like a diva. Because of the museum’s extraordinary collection, visitors start feeling like proper diva’s themselves. 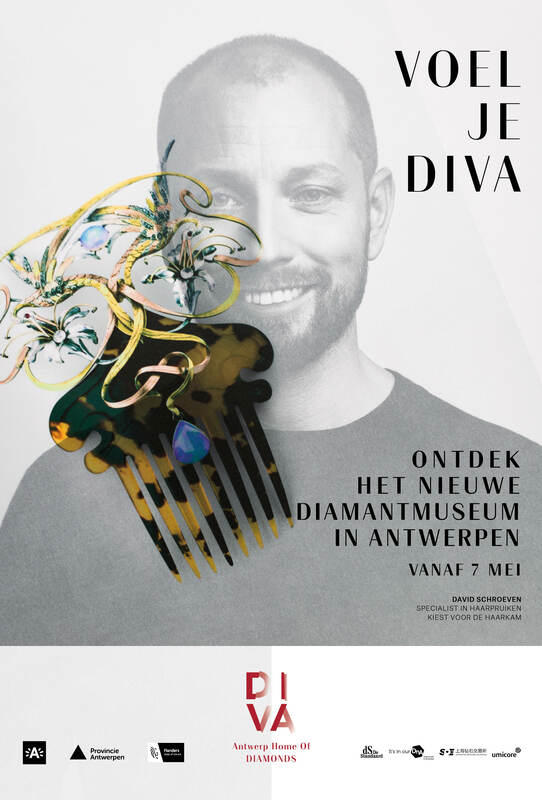 This was illustrated by the story of 6 ordinary people from Antwerp and how their favourite collection piece made them feel like a diva. 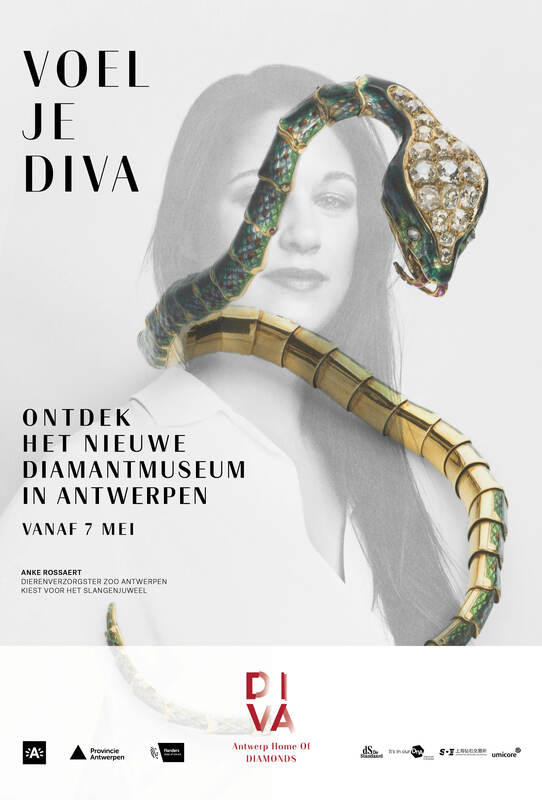 • Animal caretaker Anke who chose the Snake Jewel. • Danté, cantor at a fraternity, and his choice for The Windmill Cup. • Hair wig specialist David, and his obvious choice for The Hair Comb. • Hazim, an Iran-fled writer, and his choice for The Inkstand. • Joke, proud owner of a peacock tattoo, about her choice for The Peacock Brooch. • Sonja, mother of thirteen, on her choice for The Flemish Heart. We developed partnerships with organisations that have a close connection with these six stories, like The Antwerp Zoo, Brewery Koninck and the organisation of the Antwerp Book Fair. The content of each partnership differs from organisation to organisation. Our partnership with Brewery Koninck for example focuses on craft and how the brewery ánd the museum are dealing with it. We consciously developed partnerships with unusual cultural organisations. 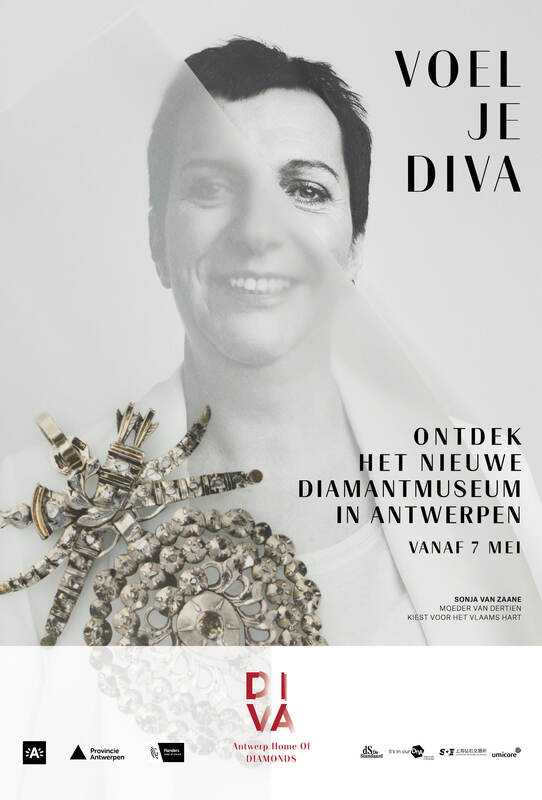 This didn’t only broaden the campaign’s reach, but also supported the main message: DIVA is a museum where everyone can feel like a diva. So not a classic opening campaign, but a firmly substantiated project where classic media (online, outdoor, print…) were supported by editorial content and partnerships.